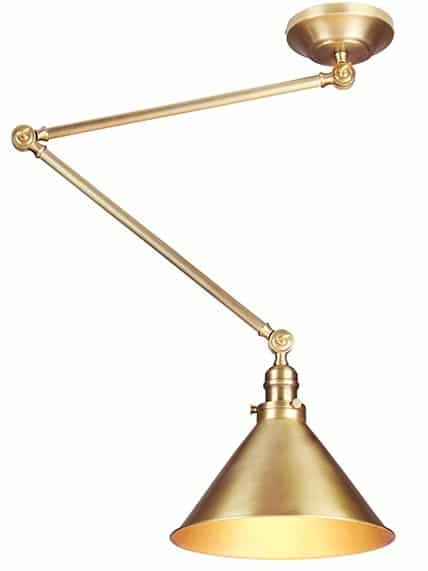 This Elstead Provence hinged single pendant or wall light in aged brass finish features vintage retro style and classic design. A versatile fitting featuring a stepped ceiling or wall mount, hinged rod stem and flat brass coolie shade. The stem is hinged at the mount, in the middle and at the shade head. It can be fitted to the ceiling as a pendant or to the wall as a swing arm light and adjusted to suit; please see the secondary images for details. 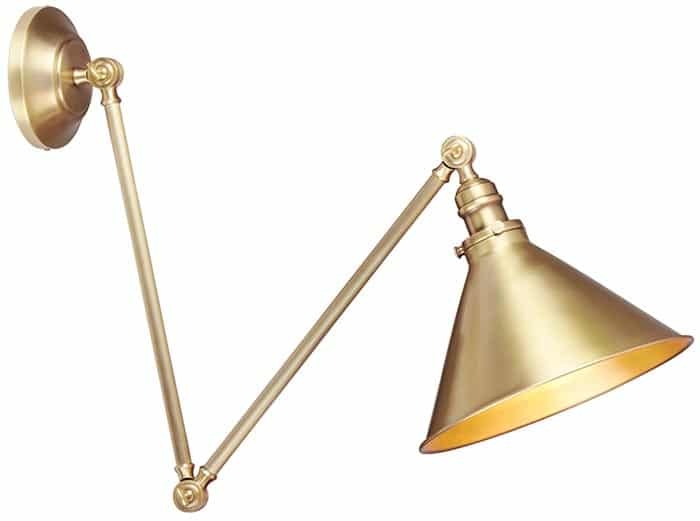 A wonderful high quality ceiling or wall light fitting in aged brass that is full of understated rustic charm. Suitable for traditional and modern settings alike and perfectly suited to fitting in a stylish dining room or kitchen, over a dining table, kitchen island, breakfast bar or worktop. There are matching fittings available in the Provence aged brass finish lighting range that can be viewed below. Also available finished in polished nickel, polished copper and old bronze; please enter the term Provence in the search box at the top of this page to view the complete collection. This classic light is supplied by Elstead Lighting, a British company that specialise in the manufacture and distribution of quality decorative lighting such as the Provence hinged single pendant or wall light in aged brass finish you see here.